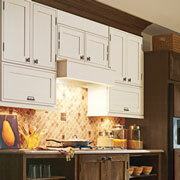 Many Cleveland homeowners remodel their kitchens at some point to keep up with the latest home remodeling trends. Whether that means upgrading their kitchen with fine granite countertops or adding a pop of color and sophistication to their kitchen cabinets with fun yet practical hardware, ProSource® of Cleveland has everything they need to beautify their newly-remodeled kitchen. 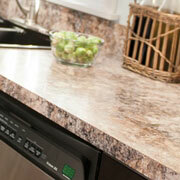 Kitchen cabinets are one of the first things your client’s houseguests will notice upon entering your home. Don’t deter them with poor quality cabinets from another retailer; instead, choose one of our fine oak, maple, hickory, or walnut options at ProSource of Cleveland. 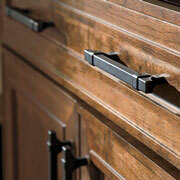 If your client has a keen sense of style and wants to take their kitchen to the next level of sophistication and practicality, suggest one of our cabinet hardware designs right here at ProSource of Cleveland. We offer a wide range of pulls, hooks, knobs, and pendants in a variety of materials that are sure to make your client’s kitchen cabinets pop! Trade professionals know that choosing the right countertops for their client’s kitchen remodel is an important, sometimes costly, decision to make. Avoid making a massive dent in your client’s budget and choose ProSource of Cleveland for your client’s wholesale granite, quartz, or recycled raw material countertops. Trust us, they’ll thank you later! 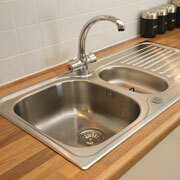 Kitchen sinks serve a multitude of functions that bathroom sinks cannot, like providing the space to wash dishes, wash and cut produce, and clean yourself up after preparing a messy meal. There are many more things to consider when picking out your client’s kitchen sink than simply hand-washing space, so we offer a wide variety of kitchen sinks that cater to all your client’s prep, cooking, and cleaning needs. 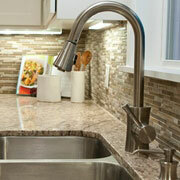 Your client’s faucet can create, or take away, many possibilities in their kitchen. Don’t choose a poor-quality kitchen faucet from another retailer; bring your client in to your local ProSource showroom and we’ll show them all the latest features and accessories that our kitchen faucets can bring to their kitchen.